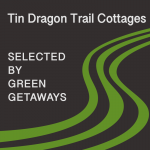 Tin Dragon Cottages offers eco-friendly accommodation on the Ringarooma River in North East Tasmania. Graham (co-owner and builder) and Christine (co-owner) wanted to use local materials in the construction of their eco-friendly accommodation. So they engaged local timber-man, Malcolm to fell and mill all the timber on site. To minimise damage to the property Malcolm used his bullock team to collect the timber. Malcolm also harvested decades-old pine trees growing in the paddocks. This fine timber was used by a local cabinet-maker to craft all the doors, double-glazed window frames and kitchen cabinets. Finally, Christine and Graham sourced stone from Mount Victoria for a local stone mason to built their two spa cottages. All Tin Dragon Cottage’s power is generated on site using a 4.7kW micro-hydro system, 17.5kW of solar PV and 27kWh battery storage. Hence Tin Dragon Cottages can operate independently of the grid. However, the sustainable power system still retains the security of grid-connection as a final back-up. Graham and Christine encourage their guests to recycle and compost their waste. They also provide guests with packaging-free toiletries. Because of these few small changes about 2,700 kg of waste doesn’t go to local land-fill each year. The compost is great for the small vegetable garden, too! Graham built the cottages and sheds with steep rooves to enable the collection of clean rainwater. Why a steep roof? Ask us next time you visit. An electric pump moves all the water to storage tanks above the cottages. Consequently water is gravity-fed to each cottage. 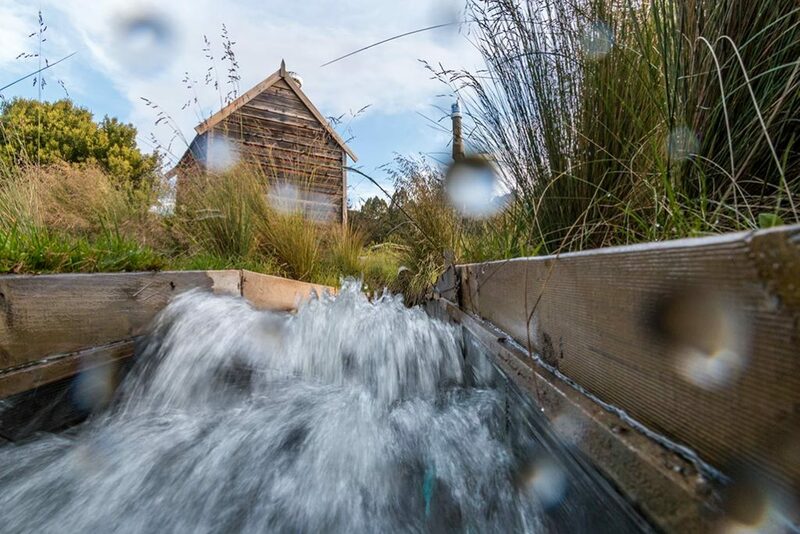 A three-stage enviro-cycle system treats waste water on site enabling Graham and Christine to to irrigate paddocks below the cottages. As a result all the grey water produced by the cottages is recycled.